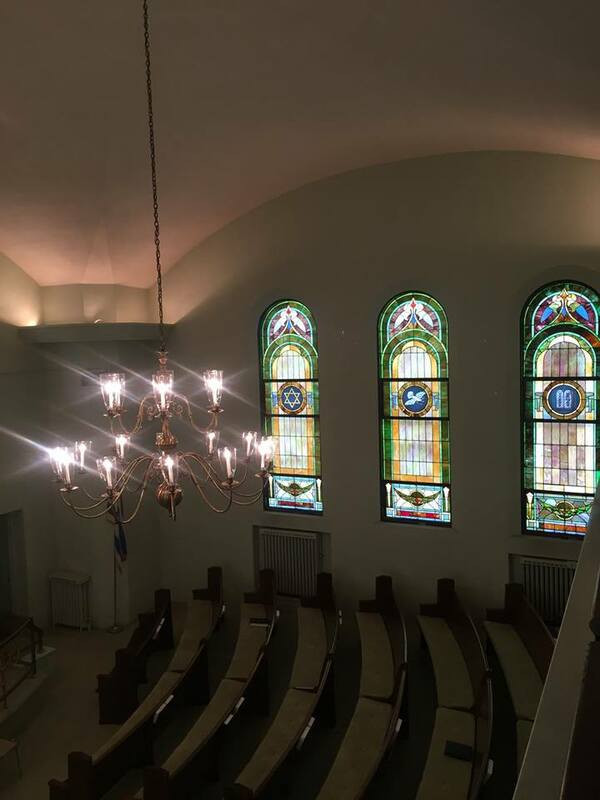 Historic Murphysburg Preservation, Inc. (HMP) will partner with the United Hebrew Congregation of Joplin when the doors of the iconic Jewish temple at 702 South Sergeant Avenue will open to the public on Sunday, June 12, 2016 from 1 p.m. to 4 p.m. This event is in commemoration of the 100 year anniversary of Joplin’s most unique building of its kind and the area’s only Jewish temple, also known to some as a synagogue. The exterior is Byzantine-style with oriental trimmings along the lines of a Hebrew temple and a Turkish mosque. The temple was modeled after The Hagia Sophia in modern day Istanbul as sketched by Joplin businessman, Gabe Newburger, of Newman Brothers Department Store while he was traveling in Europe and Asia. The architect was our well-known Joplin resident, Austin Allen. Mr. Allen’s designs of the Elks Club Lodge, the Newman Mercantile Building (present day Joplin City Hall), the Olivia Apartments, St. Peter’s Catholic Church, and his personal home in Murphysburg still remain and are listed on the National Register of Historic Places. 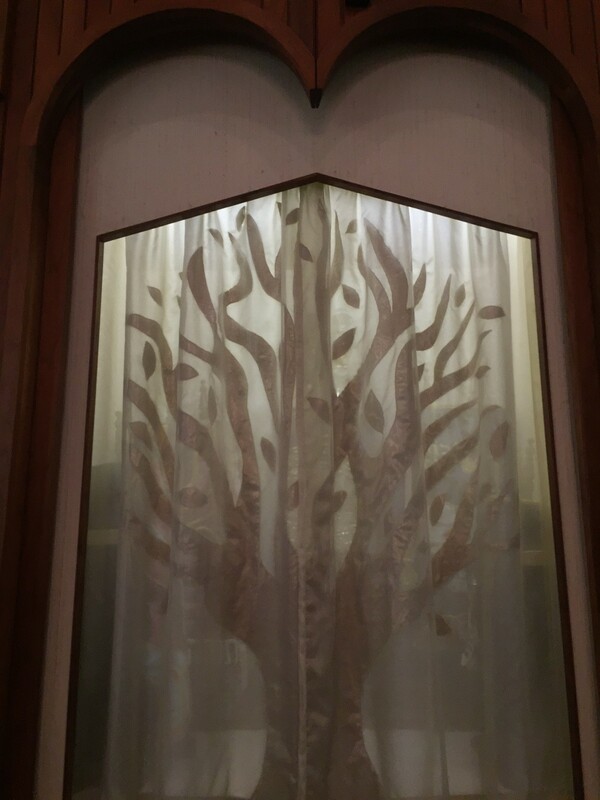 Roberta Shilane of the United Hebrew Congregation said, “Guests will have the rare opportunity to view the beautiful handcrafted wooden ark, which houses the Torah scrolls, and features the hand carved Hebrew letters representing the Ten Commandments.” The tour will also feature the “Tree of Life” appliqued on the curtain inside the ark that refers metaphorically to the Torah, original stained glass windows, wooden pews, a pipe organ, ner tamid (everlasting light), menorahs, Torah scrolls and regalia, and the choir and women’s balcony. Guests will also be treated to narrated tours, traditional Jewish food, and will learn about the 1970 fire that destroyed the beautiful copper dome and minaret. There will also be opportunities to ask questions about the Jewish religion. 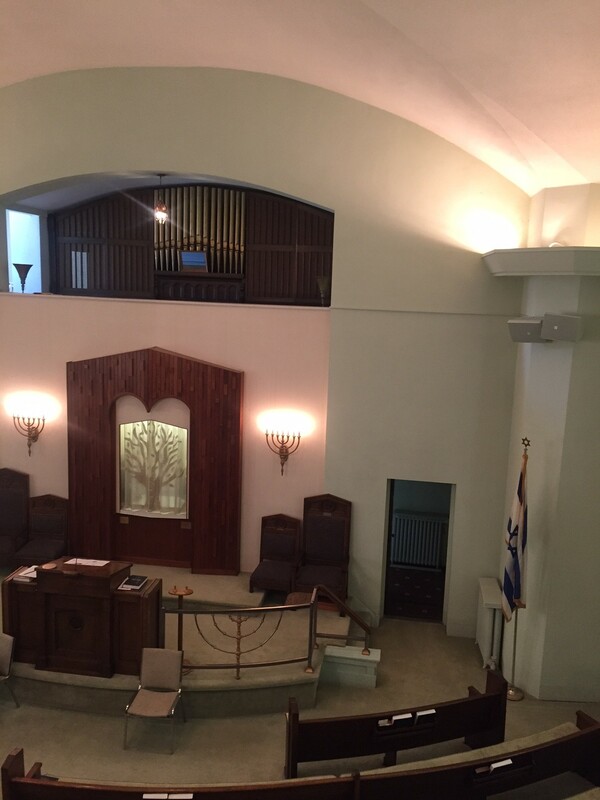 Admission is complimentary but donations to the United Hebrew Congregation are welcome. Please note that the central entrance from the parking lot is handicap accessible. Some of Murphysburg founding families who were members of the congregation lived in houses that still stand today on South Moffet and South Sergeant. Guests will receive a commemorative booklet and a tour guide map of their houses and Joplin buildings designed by Austin Allen. The United Hebrew Congregation web site is www.uhcjoplin.org and Facebook is United Hebrew Congregation of Joplin. 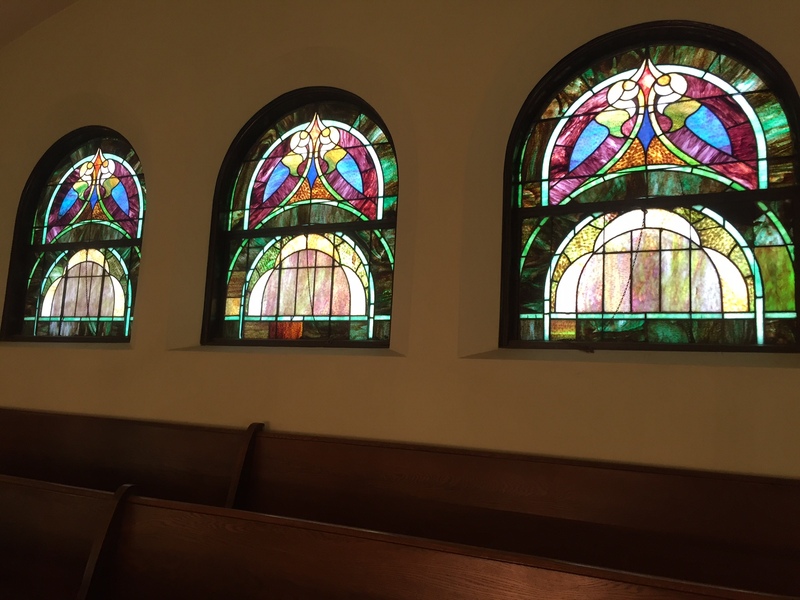 Historic Murphysburg Preservation, Inc.—a non-profit organization—is dedicated to the preservation of Joplin’s oldest residential neighborhood through education and community involvement. Joplin’s local Murphysburg Residential Historic District includes houses on Moffet Avenue from First to Fourth Streets and Sergeant Avenue from First to Seventh Streets—combined with some houses on Pearl and Byers Avenues. The entire district is on the National Register of Historic Places. For additional information: 417-483-3116; Murphysburg@gmail.com; and www.Murphysburg.org. Other exciting weekend events in Joplin are listed on www.VisitJoplinMo.com.